Create the perfect sleeping space in your child's bedroom with this Twin over Twin bolt through bunk bed. It features a Merlot finish mission styling with slats. Guard rails and ladder are attached to this bunk bed making it safe and durable for your child. 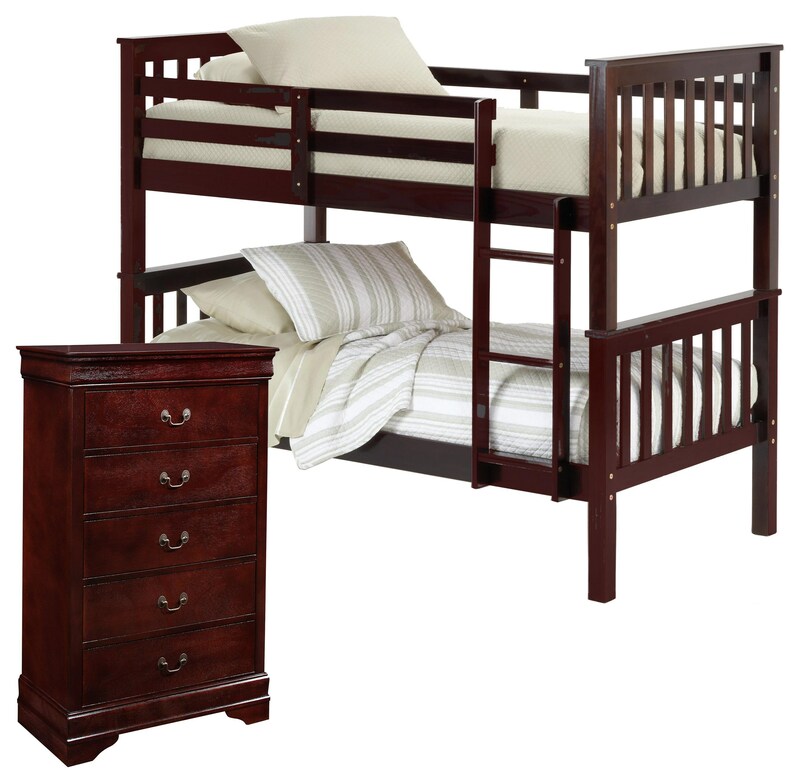 This bunk bed is perfect for two kids sharing one room or an extra space for an overnight guest at sleepovers. Bunkie Board suggested with purchase. Includes the B3850-4, chest, with five spacious drawers this chest will provide you bedroom with ample storage and style. The Sadler Bunk Bed with Chest by Bernards at Royal Furniture in the Memphis, Nashville, Jackson, Birmingham area. Product availability may vary. Contact us for the most current availability on this product. Browse other items in the Sadler collection from Royal Furniture in the Memphis, Nashville, Jackson, Birmingham area.